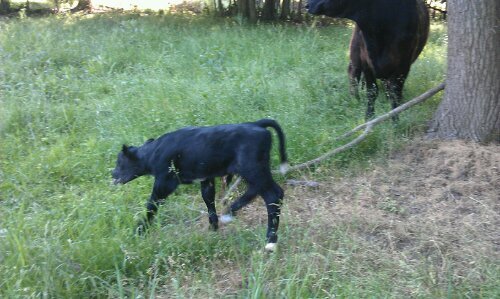 The last spring calf was born on our farm this week. 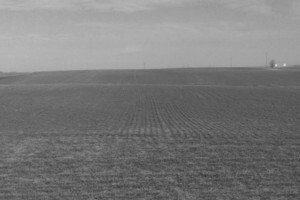 Sorry I couldn’t get a better picture, he is a moover! 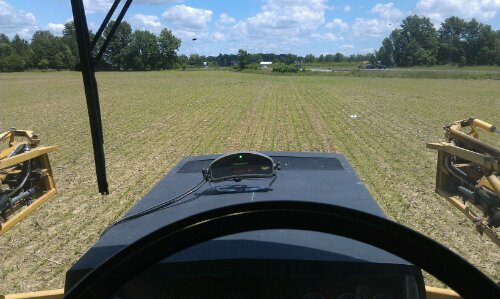 Got a good start spraying weeds that have invaded my soybeans. 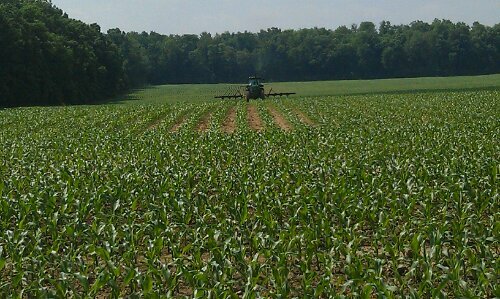 We finished sidedressing (fertilizing) corn last week, after a rough start its finally starting to take off and look good! 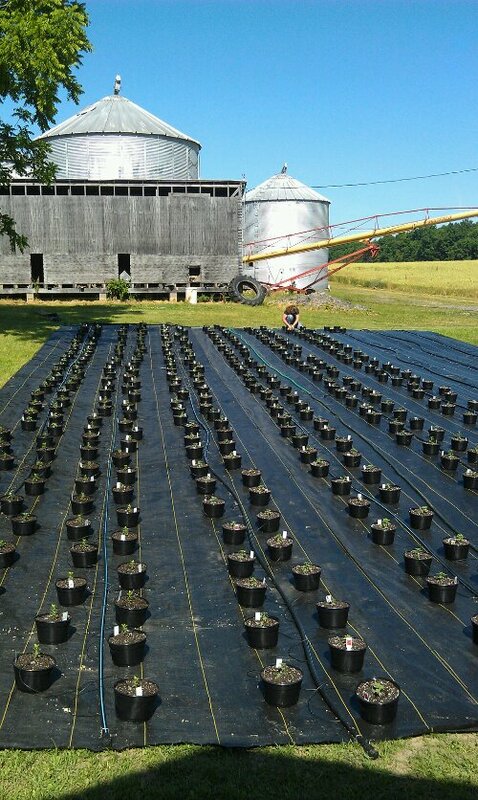 The mums are here! 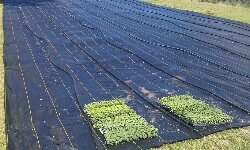 Pam spent most of the week potting them, they are looking good. 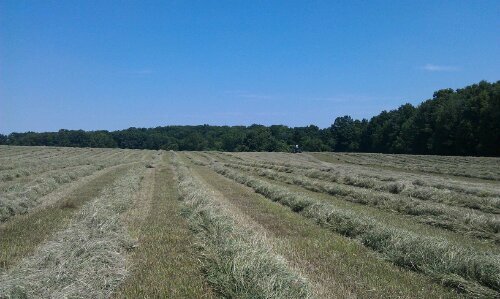 We have been real busy making hay lately, this field is all raked up in windrows and ready to bale. 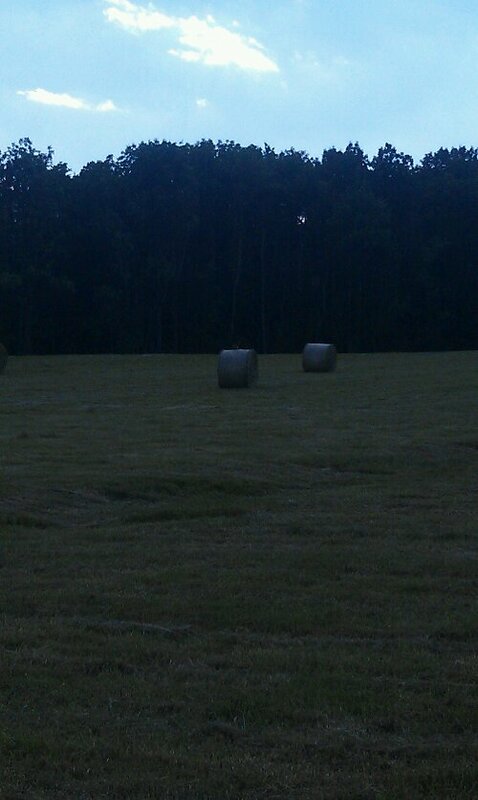 This fields all baled, not sure if you can see the hawk perching on the round bale waiting for his dinner to wander by. 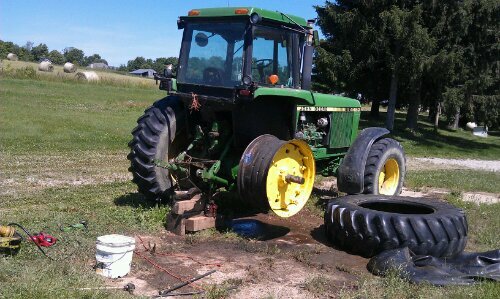 Never a dull moment on a farm, had a slight delay in hay making to did a tire. 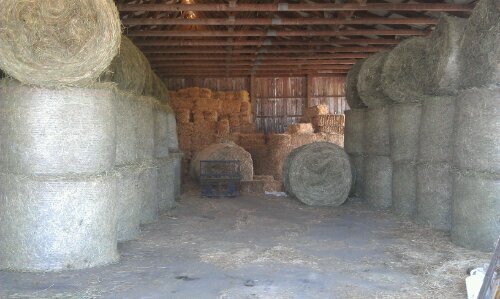 The hay barn us starting to fill up, this will make for happy cows through the winter months. 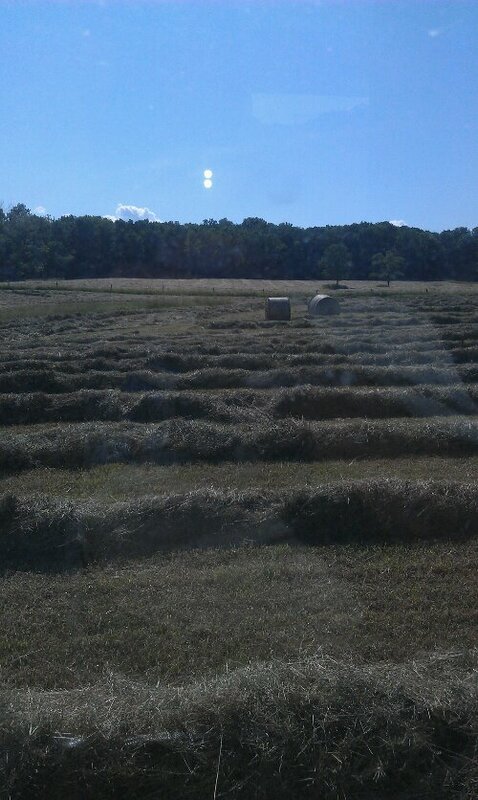 Alfalfa hay ready to be square baled. 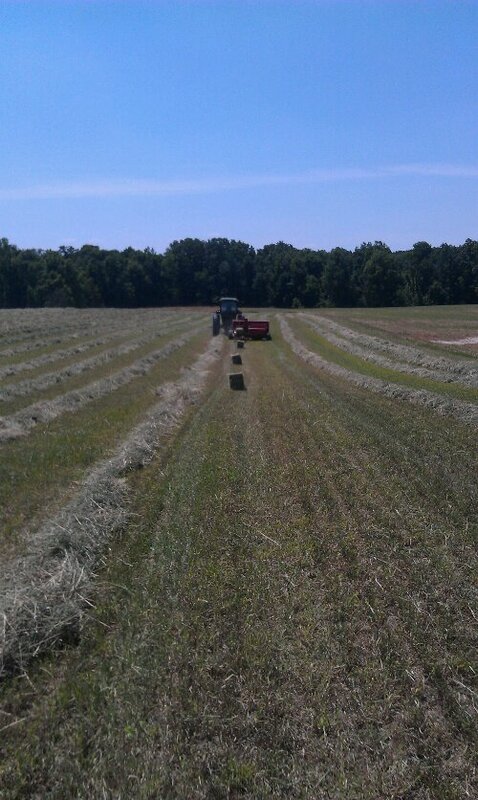 Square baling alfalfa, I will come by later and pick these bales up with a stackwagon, called a harobed. 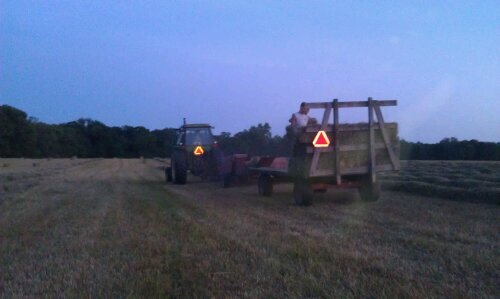 We had two balers running, instead of using a harowbed to pick up and stack bales we need to manhandle each bale with this baler. 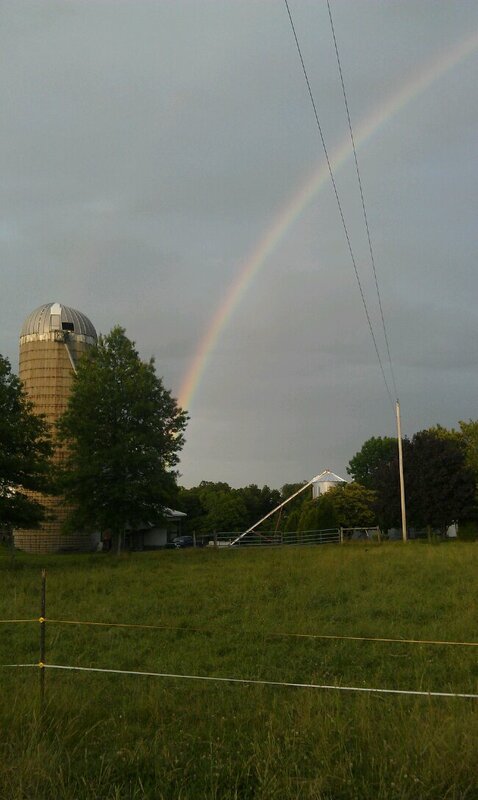 We had a small rain shower thus week, enough to give us a really nice reminder.